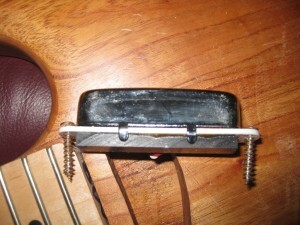 First, the biggest difference is how they attach to your guitar. 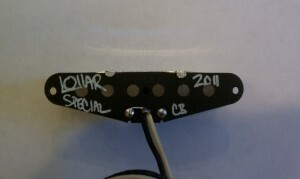 The CC for Tele body mount attaches directly to the body, with no visibly pickup screws on the pickguard. 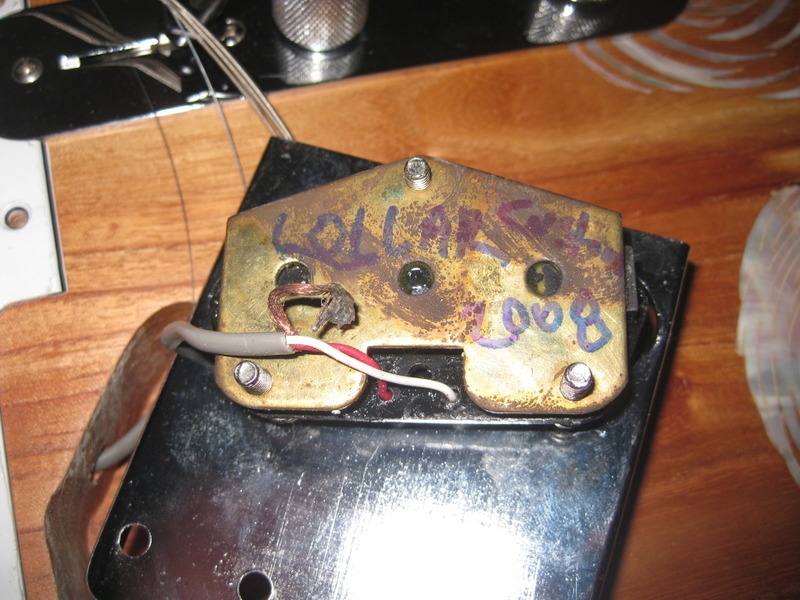 Some say attaching pickups to the body gives the tone a bit more of that “woody” resonance. 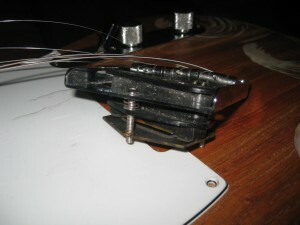 Pickguard mount is exactly that – the CC is mounted to your pickgaurd and the three mounting screws are visible on the pickguard. 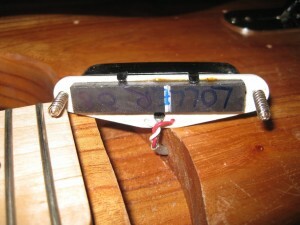 We don’t find much of a tone difference between the two methods – in general, height adjustments are easier to make on the pickguard mount version. 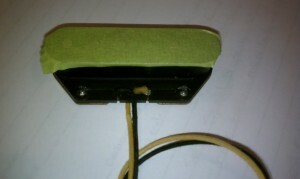 Plus, the pickgaurd mount is a lot easier to install correctly. Getting the body mount version straight and even to line up with the hole in the pickguard takes some skill and effort to accomplish. Physically, the two pickups are almost identical. The body mount features larger, untapped holes that allow the mounting screws to pass through them into the body. 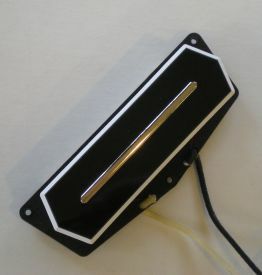 The pickguard mount features smaller, tapped holes designed to allow the pickup to hang from the pickguard via 3 adjustment screws. 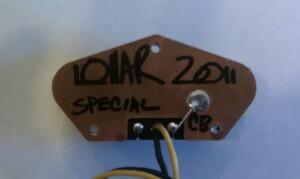 If you have any other questions, please contact us at info@lollarguitars.com. Happy tone hunting! 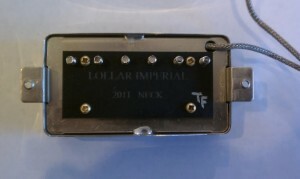 We are excited to tell you about the new material we are using for the tops of our Charlie Christian style pickups. We have phased out the three-ply black / white / black top material. We have replaced this with a new two-ply material that we are very happy to share with you. The overall material thickness is similar. But the new material is composed of a thinner top black layer and a thicker second white layer. So when this combination is beveled, the net result is a thicker outer white trim profile. This new material gives you a look that is closer to a traditionally bound pickup. 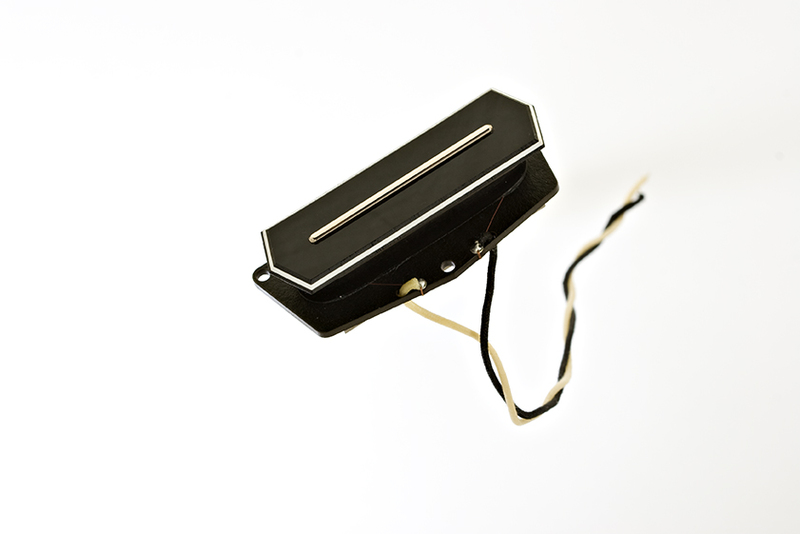 On many vintage Charlie Christian pickups the white trim on the top plate was actually a separate piece of material that was glued around the perimeter and then shaped to a uniform surface, flush with the black material. 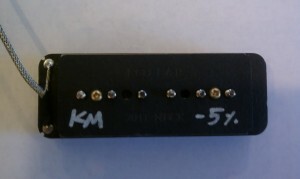 All of our Charlie Christian pickups will now ship with this new upgraded material. 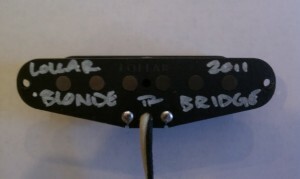 And just to make sure it’s clear: The part we are referring to is just the pickup’s decorative top plate. It has nothing to do with the internal construction of the pickup. You can expect the same great Lollar Charlie Christian pickup that has been so well-received. And now with an improved, even more classic look.